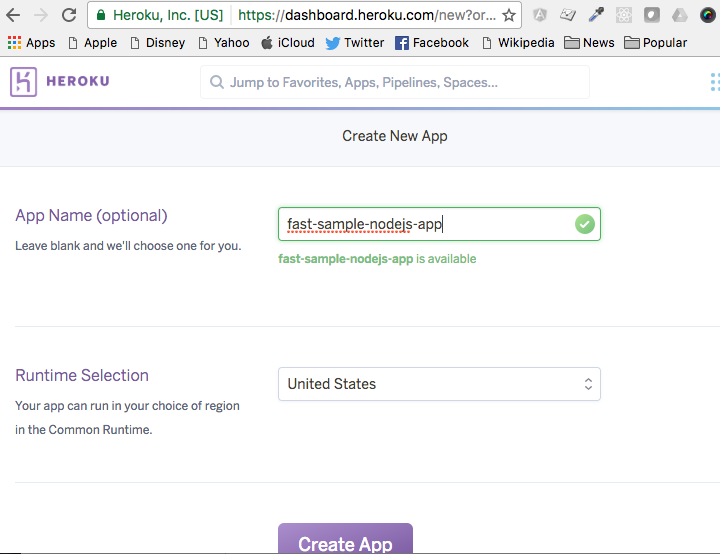 4) Login to heroku from command line using the account that you have created above. 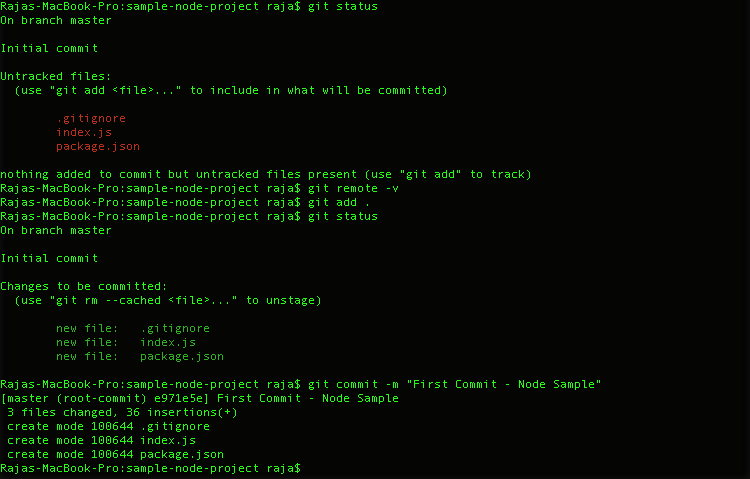 5) Node, NPM and Git should be installed. Check the package.json file, express.js should be added as dependancy. - A blank page ( Cannot GET / ) will be displayed as we haven't set any route yet. Add the following line before server start. vii) Stop and Start the server again. 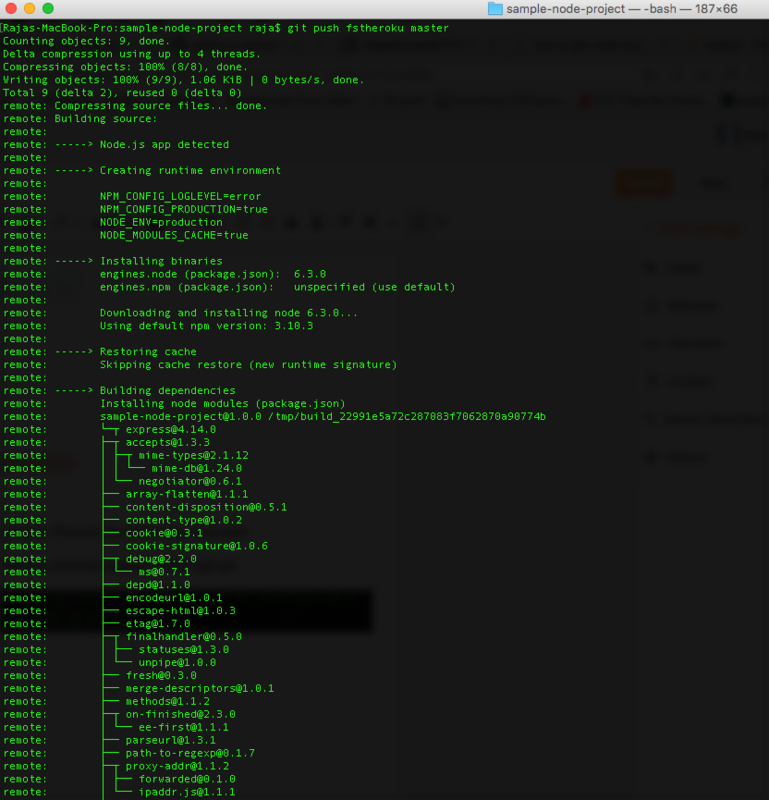 You should see "Hello World". 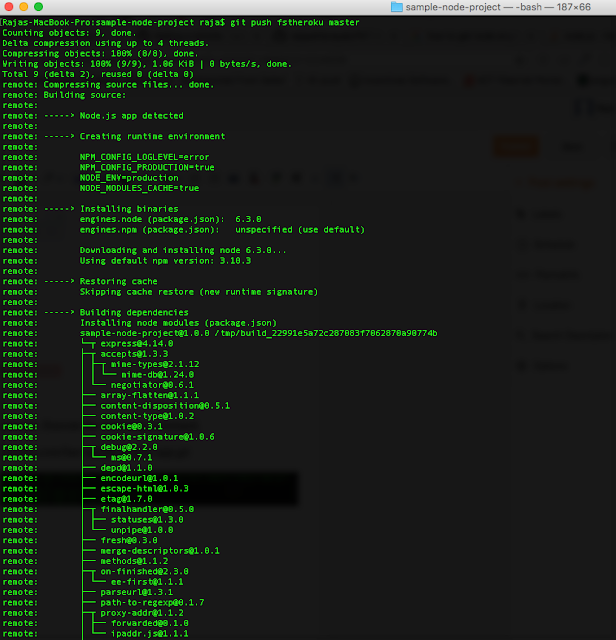 As the router is set, so server is responding with "Hello world" response. 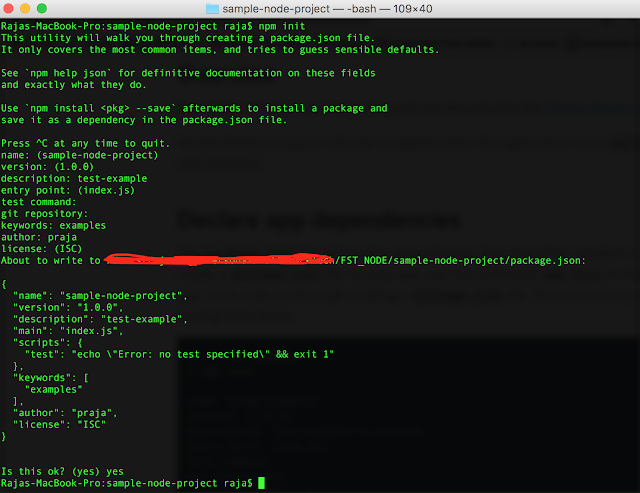 7) Push the existing node.js project to GIT. iii) create .gitignore file add the following lines. 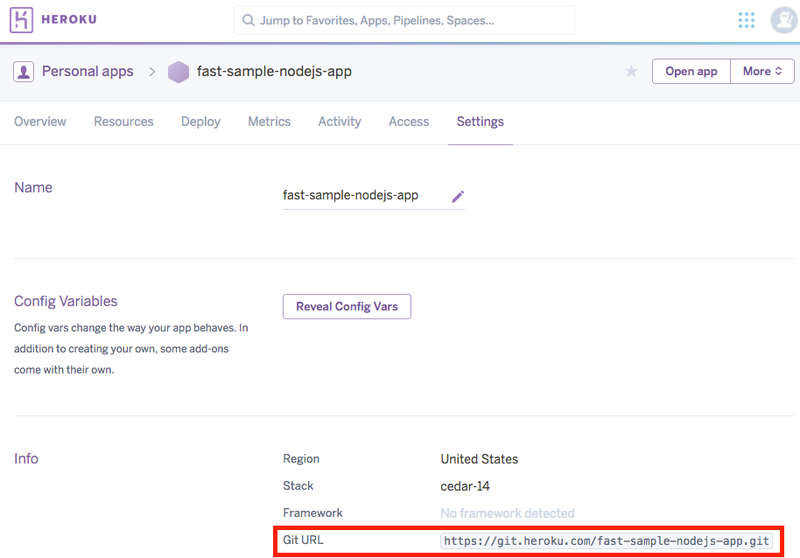 vi) git commit -m "First Commit - Node Sample"
viii) git remote add origin "remote repository url"
8) Add node.js engine details in package.json so that both local and heroku environment will be on sync. 9) Specify a start script for heroku. 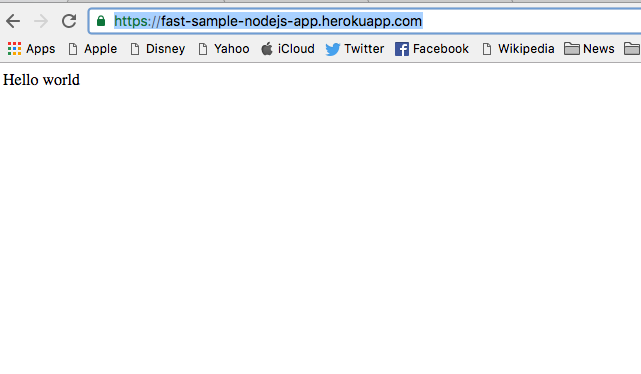 Heroku first looks for a Procfile. 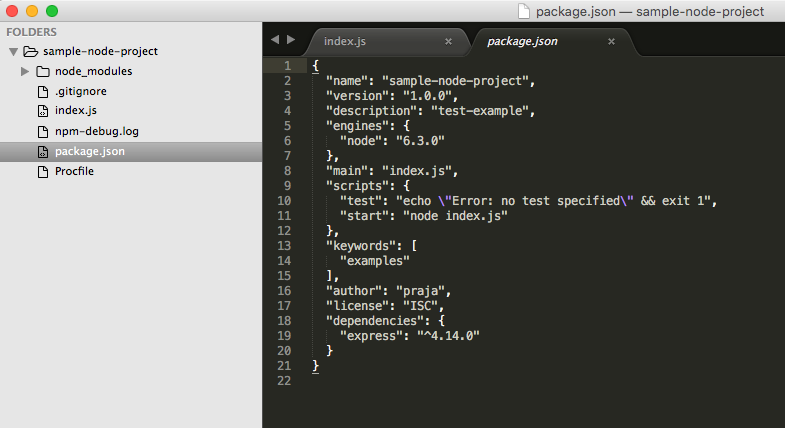 If no Procfile exists for the app, it will attempt to start a default web process via the start script in package.json. Create a file name called "Procfile". 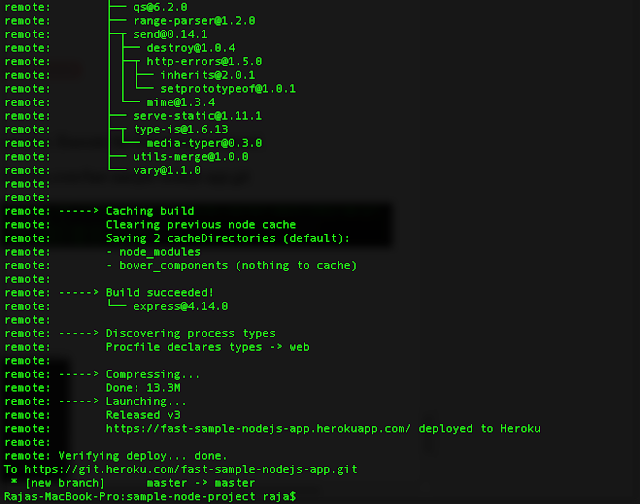 10) We can not hardcode the server listening port (local env : 3000) for heroku. 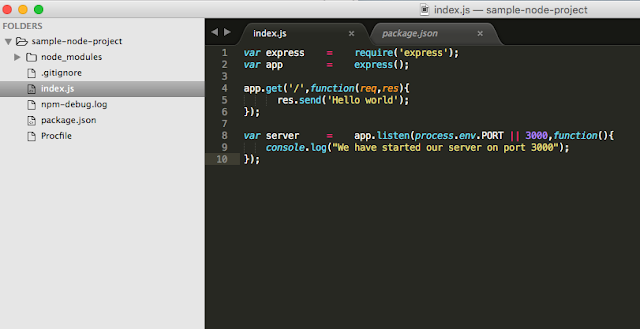 So modify the app listen code in index.js with the following. App should run properly. "Hello World" should be seen. 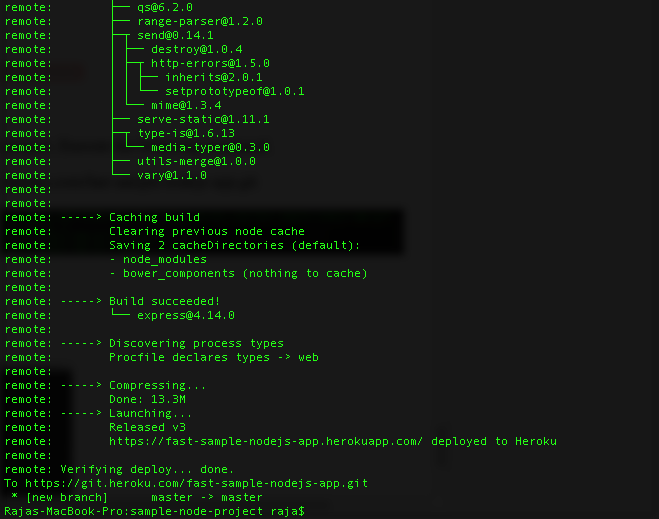 12) All the latest changes should be pushed to git before the project goes to heroku. 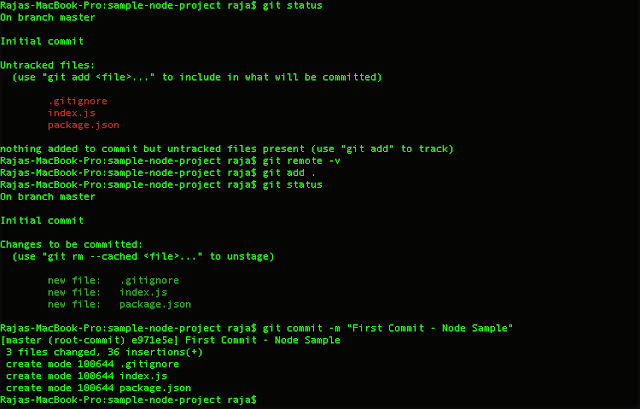 ** Push all modified code changes to git. 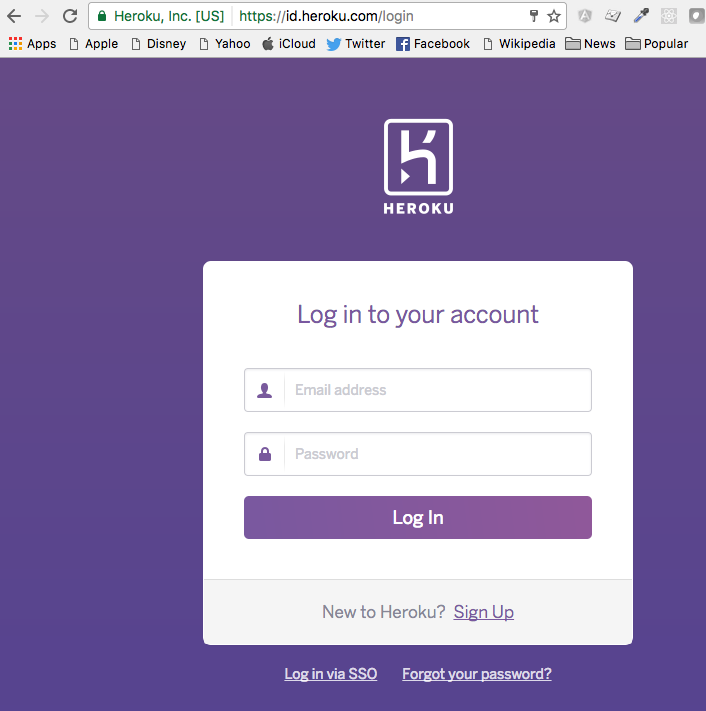 13) Login to heroku with your free account that you have created in the first place. 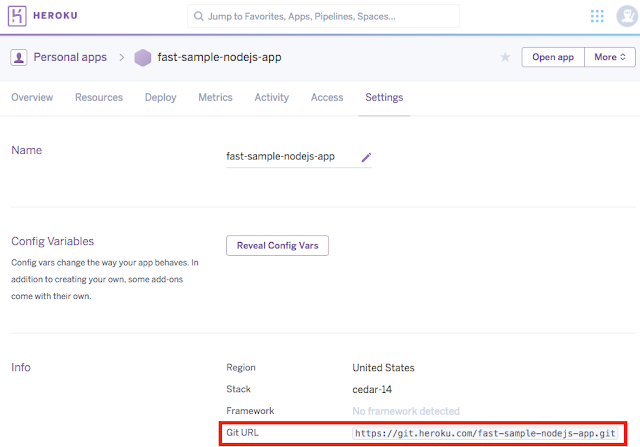 15) Give your application name and click "Create"
16) Check the GIT Url of the application from the settings tab. 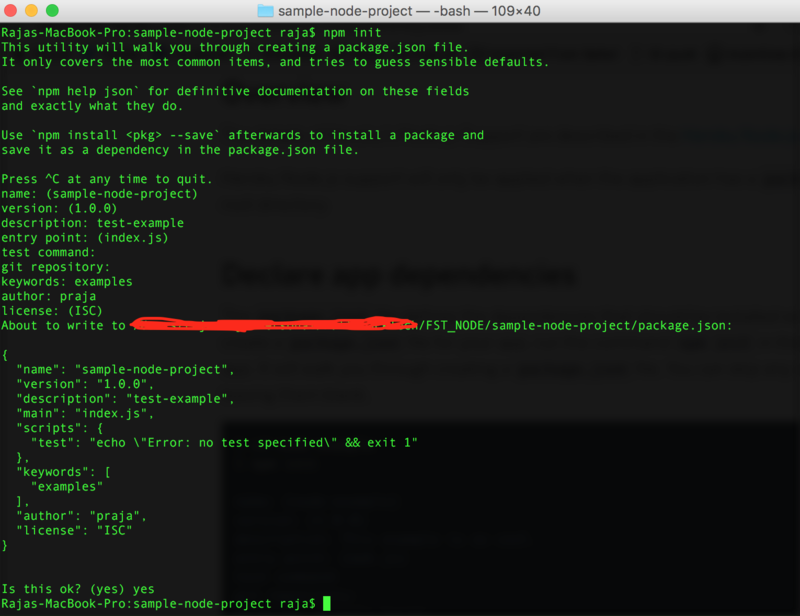 17) Go to the terminal of your nodejs project. Execute the following command.